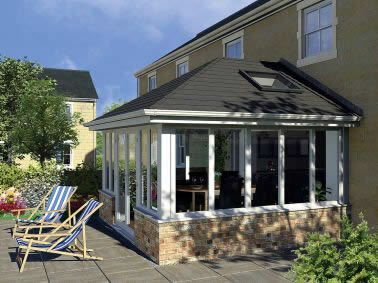 If you want to enhance your existing conservatory with thermal efficiency, privacy and style, or benefit from a cost-effective roof system for a new extension, opt for a solid roof from Oakley – the orangery and renovation specialists. Thermally inefficient polycarbonate and glass roofs are one of the reasons that people don’t use their old conservatories. Modern home improvements such as orangeries and glazed extensions can be built with insulated tiled roofs, for a room that can be used all year round. Kitchen extensions, garden offices and other living spaces can all benefit from the insulating properties of a solid roof, which will retain heat generated inside a home, and keep out the worst of the British weather. 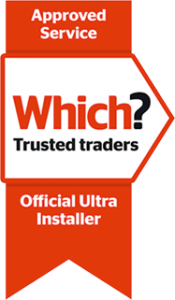 Why choose a Ultraframe realROOF orangery from Oakley? If you’re thinking about extending your home, an Ultraframe realROOF orangery is a stylish alternative to a traditional flat roof extension, with your choice of windows and doors, including full length or wide span glazing for frame-free views. Anything is possible – you can even choose bifolding doors! Get in touch and we’ll be happy to give you an idea of price – a solid roof orangery can be quicker and even more cost effective to build than a full brick construction.